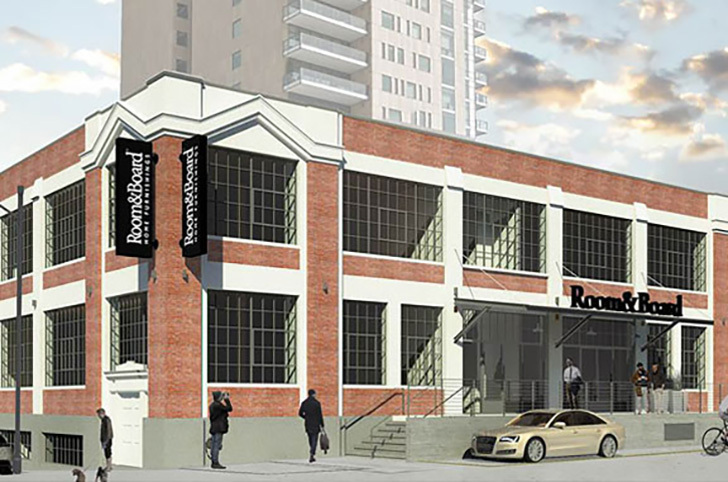 We are excited to share that Room & Board will be opening a store in early 2017 in Portland, OR! Look for us at the corner of 13th and Flanders, in the heart of the Pearl District. It is thrilling to be coming to this bustling neighborhood where we will surround other retailers we admire, delicious restaurants and great breweries. Constructed in 1924, the Fisk Tire building that we’ll occupy and remodel will preserve its historical significance. The one-level store will be 9,500 square feet. Check our blog for more remodeling updates along the way and watch our Portland store page for opening dates. Does the sale include discontinued fabrics, for example the Metro collection with the Desmond micro suede is discontinued December 26, but in other fabrics ir is not. Thanks for your question! It depends on the collection, but not all fabrics will be on clearance just the discontinued ones. Check out all clearance items here: http://www.roomandboard.com/clearance. Is the clearance section of your website where all the discontinued items are already listed? Do new items show up here on 12/26? Thanks for your question! All of our discounted items are within the clearance section: http://www.roomandboard.com/clearance! Thanks for your question! Yes, more clearance items show up on 12/26 and remain in the clearance section until they are sold out. Sorry we missed this question! You can always go to the store location page for specific showroom information. What time does the sale start online? Does it begin at midnight? Central time? We’re sorry we missed your question! We hope you were able to shop the clearance event online.